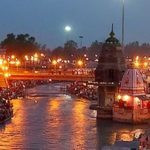 Get Char Dham Yatra Helicopter Package from Haridwar and Delhi from Chardham Tourism. 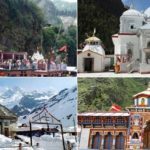 Chardham Leading Travel Agents and Transportation Services provider of Char Dham Tour Packages Services, Badrinath Kedarnath Ex Haridwar Tour Packages Services, Chardham Yatra with Hemkund Sahib Tour Packages, Char Dham Delhi Tour Packages Services, Badrinath Kedarnath Yatra By Helicopter and Char Dham Yatra Kedarnath by Helicopter from New Delhi. 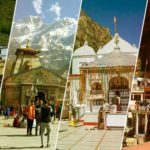 The best part of visiting Char Dham is its naturalistic surroundings, captivating snow-clad mountains and unadulterated atmosphere. Every time people come to these happy destinations from around the world with faith to cleanse their souls.Chardham yatra has captured a sacred place and so even today thousands of people globally visit this holy site each year during the pilgrimage season. 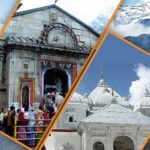 Chardham Tourism highly engaged in offering Badrinath Kedarnath Yatra by Helicopter as well Chardham Yatra by Helicopter. Under this service, we provide yatra by helicopter. This package service is highly appreciated by our customers due to its timely execution, client centric approach, flexibility, hassle free management and reasonable rates. 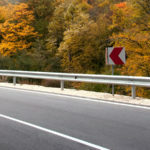 Food, lodging, and many more things, would be offered under this yatra. Offered yatra service is highly applauded due to its perfect execution, timeliness, hassle free management and reasonable rates.